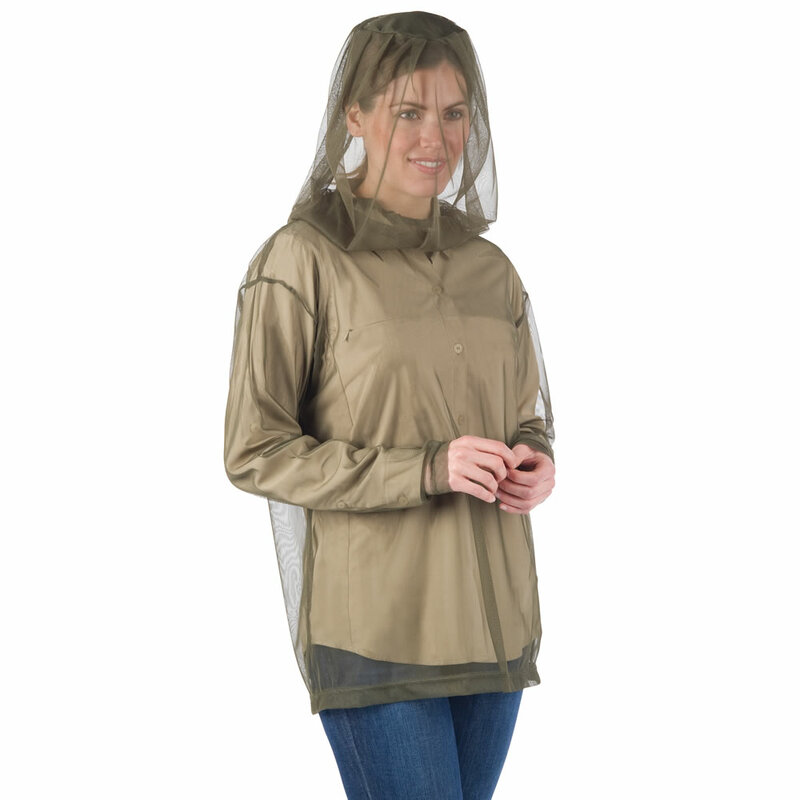 This is the lightweight shirt and head covering made from fine 1.2-mm netting that shields the skin from mosquitoes without the use of harmful and malodorous chemicals. Worn over regular clothing, the long-sleeved pullover shirt protects against insect-borne illnesses such as Zika and West Nile virus, as well as the discomfort of itchy welts. The separate head covering shields the face and neck without obscuring your vision and stays in place with an elastic collar. While standard insect repellents must be reapplied after several hours, this wearable net provides continuous, nontoxic, and environmentally friendly coverage without DEET or fragrances. The machine-washable polyester stretches to allow freedom of movement while engaging in outdoor pursuits, and is breathable so it won’t trap heat, helping you stay cool even in tropical climates. Includes a pocket-sized bag for convenient transport in purse or backpack. For best protection, a loose fit is recommended. Olive. Unisex sizes M, L, XL, XXL. The Wearable Mosquito Net Top comes with The Hammacher Schlemmer Lifetime Guarantee. Items that we sell are guaranteed for their normal life under standard non-commercial use.